Pasta Salad with black beans and colorful veggies — a perfect make ahead dish for barbecues, picnics and take along lunches. Dal dhokli is a filling one pot meal where dhoklis aka Indian style wheat pasta 🙂 are simmered in dal until cooked through. 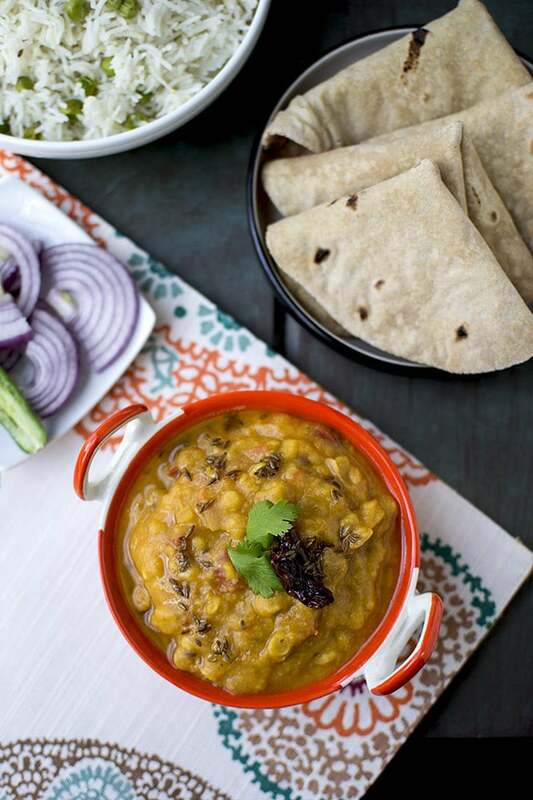 Punjabi dal tadka is a hearty and comforting dish that is easy to make for a quick weeknight or for company. It can be served with rice or roti. Hearty and comforting lentil soup made with homemade spice powder. Saravana Bhavan sambar — copy cat recipe of the popular South Indian restaurant sambar. 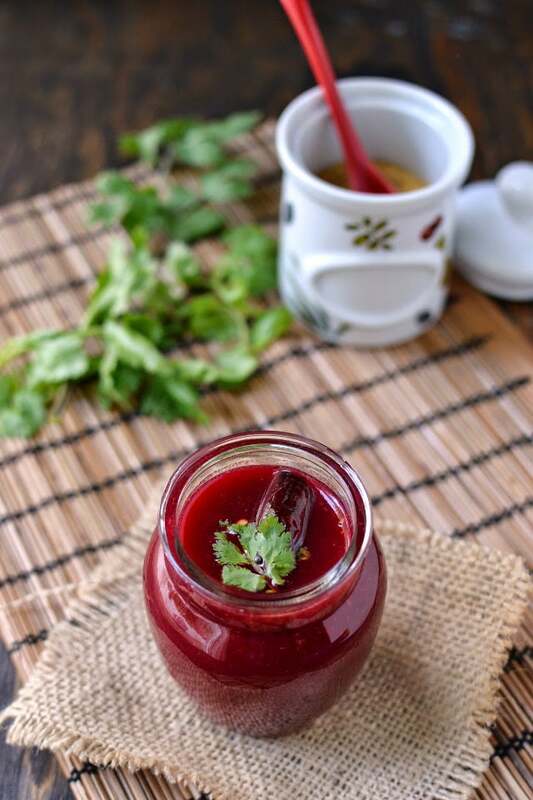 The addition of ground masala with coriander and fenugreek seeds — it adds a lot of flavor along with the sambar powder. 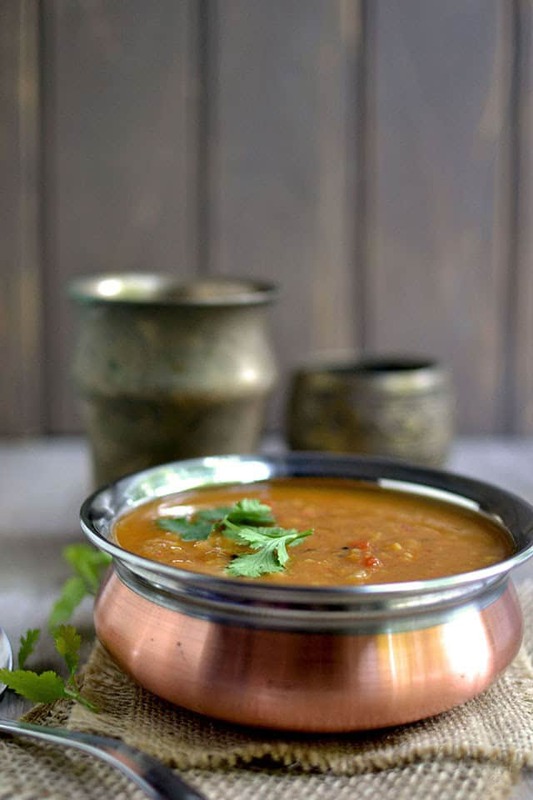 Also the addition of fried gram dal or putnalu makes the sambar so creamy and delicious. Tomato Dal with Asparagus. It cooks up in no time and blends really well in any dish. Served with rice and papad, this asparagus dal is a comforting dish for any time of the day. 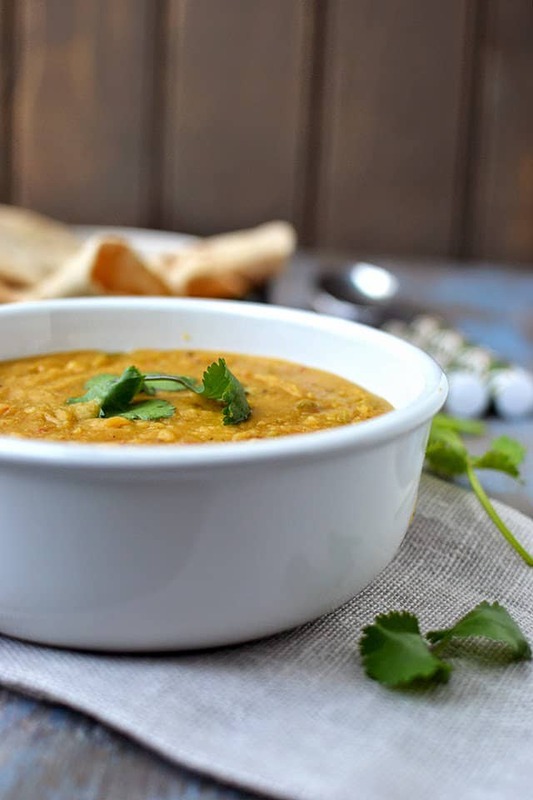 Dhansak is a very flavorful and spicy Parsi dish. It is a hearty dish with lentils, vegetables and choice of meat (which I skipped, of course). It is flavored with aromatic spice blend and is usually served with Parsi brown rice and a kachumber salad (cucumber salad). 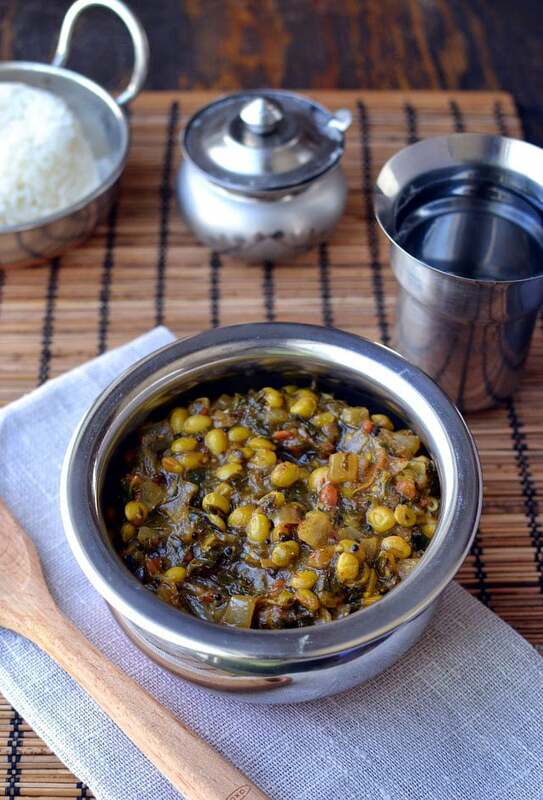 Methi and moong dal are a good combination to make pappu or dal. 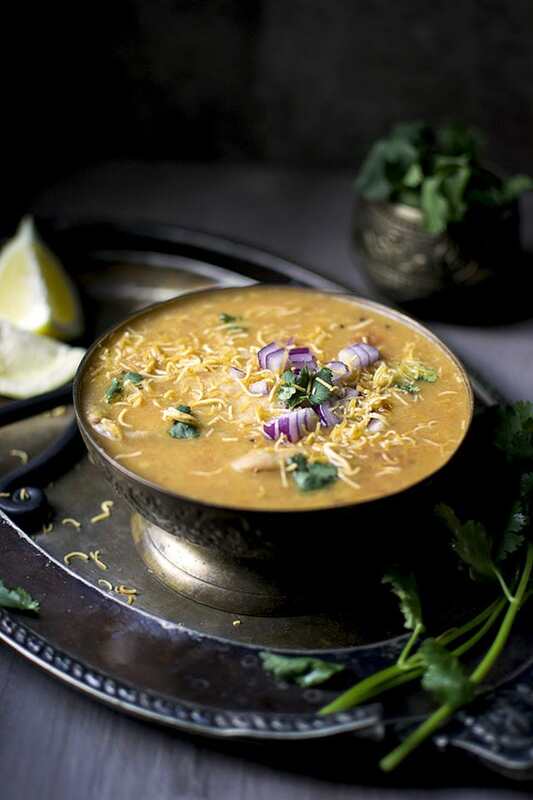 But in this recipe, the consistency is more like a soup instead of thick like a dal. 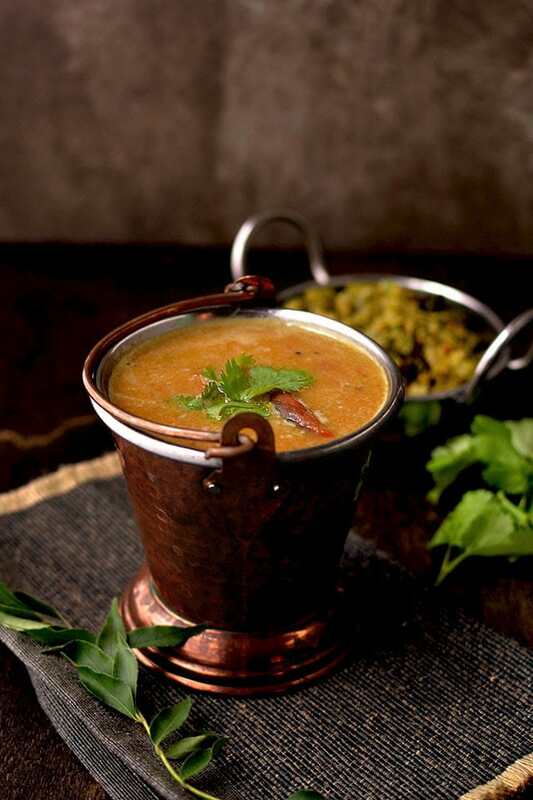 Soup is flavored with freshly made spice powder made with coriander seeds, fenugreek seeds and peppercorns. This makes the dish taste very earthy and spicy. 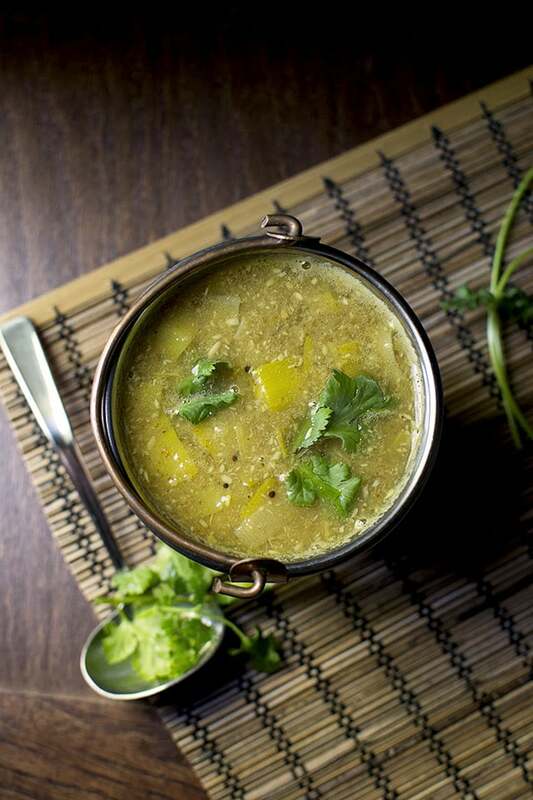 Finally adding lemon juice to the rasam/ soup gives it the required tang or zing that makes this dish super delicious. Blogging Marathon# 50: Week 2/ Day 3 Theme: Methi Dishes Dish: Methi Pulusu For the final day of this week’s blogging marathon, I had another recipe in mind. But then I saw this pulusu/ stew being made with methi (menthikura) on a Telugu cooking show and I thought it was an interesting way to cook with methi.